We know the loss of a child you are expecting is overwhelming. We realize that it isn't just "try again". That you lost a little soul you were waiting to bring into your family. Whether its yourself or for a family member or friend. We do our best to help you heal and remember that special little someone with honor and grace. We can do all colors for backgrounds. Shown is pink. We can do blue, green, yellow,purple or any colors you want. 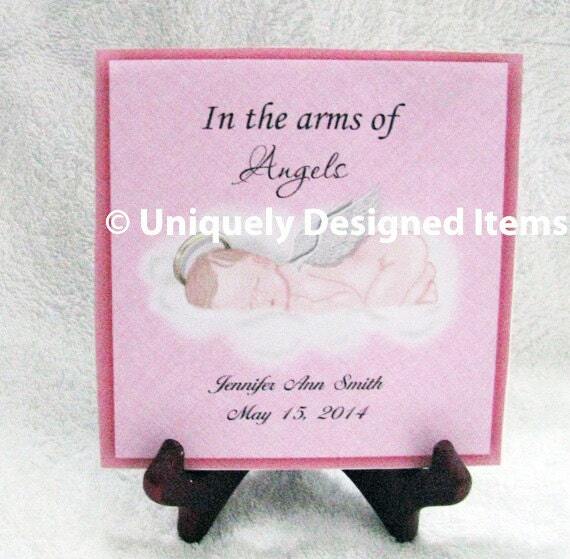 We also have different shades of little angel babies for all our little angels. So if you need a different skin color, please let us know.